What is Pekiti-Tirsia Kali ? Kali is the indigenous fighting art of the Philippines. With its Cultural and Philosophical values its history traces back more than 1500 to 2000 years in the past. The Pekiti-Tirsia system of Kali is the family system of the Tortal Family. It is headed by the only sole heir Grand Tuhon Leo Tortal GajÈ, Jr. Right from the beginning Pekiti-Tirsia Kali convinces with its logical and consequent Self-protection System, which is based on the Strategic and Tactical application of Counter-Offensive techniques as defense. An important part of Pekiti-Tirsia Kali is its positive, life appreciating philosophy: To believe in Life, in Good Health, and to believe in Success. Full understanding of Pekiti-Tirsia as a living Martial Art leads to continuous improvement and continued adaptation of its methods to new demands. Because of this, Pekiti-Tirsia Kali today still is a valuable and practical Survival Art. As Grand Tuhon GajÈ says: "Pekiti-Tirsia Kali is the Art of Modern times in the living past!" In Pekiti-Tirsia Kali updated (martial) arts technology merges with lived tradition! The practical use and counter offence against impact and edged weapons has always been and still is the focus of Pekiti-Tirsia Kali training. That's why Pekiti-Tirsia Kali is today as up-to-date as it was 50, 100 or 300 years before. Pekiti-Tirsia Kali is one of the oldest Kali-Systems of the Philippines. It originated in the central region of the Philippines, in the province of Negros Occidental. Today Pekiti-Tirsia Kali is represented by the sole heir of the system Grand Tuhon Leo T. GajÈ, Jr. the only grandson of the Great Grand Tuhon Conrado B. Tortal. In the year 1997 the Centennial Celebration for 100 years of Pekiti-Tirsia was celebrated in Subic Bay, Zambales, Philippines last October 25, 1997. Pekiti-Tirsia is the only Filipino Martial Art that made the first one hundred years celebration. Grand Tuhon GajÈ pioneered the teaching of Kali in the USA. He and his Pekiti-Tirsia Kali earned recognition and respect from major Martial Arts Organizations such as Jewish Karate Federation, The United States Karate Association International and the United States Karate Federation. Pekiti-Tirsia Kali is the only system recognized by the Philippine government including the teaching of the system to the elite Force-Recon Philippine Marine Battalion, Armed Forces of the Philippines. Pekiti-Tirsia Kali is a compact and comprehensive fighting system. 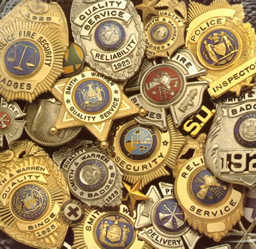 It encompasses all phases of self-protection. From Awareness to fighting in Ranged to Medium, to Close Quarters and Ground fighting. Fighting out of different angles and positions. The Pekiti-Tirsia System is based on the principle of offensive defense against Edged or Impact Weapon Attacks. The very same principle is true and functional for empty hand fighting. Therefore, in the Pekiti-Tirsia system, there is only one set of fighting principles and movement - no matter if attacker or defender are armed or unarmed. This structure allows a more economic use of practice time and creates confidence by understanding and experience. If a method works against an opponent armed with a knife, it also works against the unarmed opponent. The Mastery of a set of movements requires hard work and full time dedication. In the Pekiti-Tirsia Kali system mastery is acquired by the application of movements through distance sparring and close-in technical exchange by use of tapping and cross-tapping methods. Because a skilled knife-fighter does not rely rely on on brute muscle power, but on speed, timing and co-ordination, Kali offers convenient and logical methods against stronger opponents - no matter if knife or empty hands combat. Majority of Police Officers and law enforcement personnel in the United States, Europe and Asia have viewed the Police Training Film "Surviving Edged Weapons" which was produced by Caliber Press of Chicago USA, accepted and recognized worldwide as the best training tape on Edged Weapon awareness which featured Grand Tuhon Leo T. GajÈ, Jr. as technical advisor. If it comes to Blade Awareness and Tactical Knife Defense this police training film qualifies as world standard. The Safety Baton System, which Grand Tuhon GajÈ has developed out of Pekiti-Tirsia Kali, is a training method especially developed for Law Enforcement Officers and Security Personnel, which is setting standards in the field of application of intermediate force. Dr. Kevin Parsons, Exec. Director of the US Justice System Association, said: The Safety-Baton System is " without question the most dynamic, the most innovative and certainly the most effective system that in almost 20 years of police training it has been my pleasure to review." Tactics Training Association. Since Grand Tuhon GajÈ is now living in the Philippines he is training the Philippine National Police in the use of the Safety Baton. During the last decades out of the Filipino Martial Arts several sports versions for tournaments have been developed. Despite the fact that Pekiti-Tirsia Kali has not been designed to specialize in tournament sports, it proved to be effective in the sports arena too. Pekiti-Tirsia Kali has produced several national and international Champions in full contact stick fighting, as for example the Grand Champion of the First (1st) National Arnis (Kali, Eskrima) Tournament held on the Philippines in 1979. Grand Tuhon Leo T. GajÈ was a pioneer in the propagation of the Filipino Martial Art as a tournament sport. As NARAPHIL Commissioner for North and South America he promoted the Filipino Martial Arts as Cultural Sports and a Martial Art all over the world. 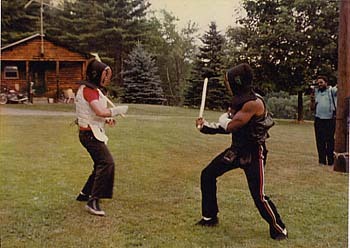 In the field of Real Contact Stick fighting - Stick fighting with minimum or without protection - the Pekiti-Tirsia system is highly respected. Grand Tuhon GajÈ's student Eric Knaus was the founder of the now worldwide respected Dog Brothers, and he is still respected as 'Top Dog' of this group. In the year 1998 Pekiti-Tirsia Philippines, Inc. organized the Battle of Grandmasters. A tournament following the Total Submission Policy - fighting without any protection gear (no glove no helmet!) with unpadded sticks, no referee, no time limit, no rules. Fighting was done on challenges (Master and Grandmaster division) and as a challenge tournament (advanced students). The tournament was open to all styles, and Masters and Grandmasters from more than 15 styles have been personally invited - but only Pekiti-Tirsia fighters were willing to fight under the said conditions.